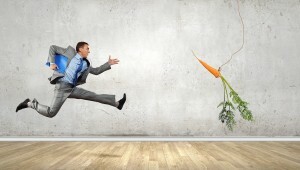 When most employers think about reward, they tend to think of it in a monetary sense, e.g., what pay, bonus, and benefit levels will enable staff to feel valued while encouraging specific, positive behaviors? However, a purely monetary approach to reward will make your reward program unnecessarily expensive and less effective. Did you know that there are plenty of non-financial types of reward that will boost motivation and engagement as much as money? I have listed a few of the more significant ones below. 1. Saying, “thank you.” Simply saying “thank you” really does boost engagement. This Harvard study showed how call rates among fundraisers who have received a personal, face-to-face thank you from the director were 50 percent higher the following week than the group that didn’t receive a “thank you.” While a general “thank you” will illicit a positive engagement response as shown here, you can heighten that response by being very specific about the behavior you are thanking someone for, perhaps, using the STAR format (Situation, Task, Action, Result). 2. Weekly Recognition. Now, I wouldn’t recommend that you routinely praise your staff at the same time each week, as it’s likely that if staff come to expect praise it will not be as effective. However, Gallup found in a 2007 survey that the most motivated staff had received recognition or praise for doing good work in the last seven days. Can you encourage your managers to praise each deserving staff member around four times a month? 3. Peer-to-Peer Recognition. While top down recognition from managers is a powerful motivator, research from Bersin by Deloitte shows that employees feel a greater sense of value when that recognition comes from their peers. A great way to motivate staff is to develop some kind of peer-to-peer recognition program which makes it easy for staff to praise and recognize their peers. 4. Name and Fame. The Bersin by Deloitte research also showed that staff perceived a much stronger sense of recognition if more people heard about it. Another way to enhance the feeling of recognition that an employee is feeling about a recognized achievement is to promote it to many people. Make them famous by mentioning it in the monthly newsletters or having the CEO talk about it in a monthly address to the staff. 5. Intrinsic Motivators. There are four psychic/non-financial motivators that should be built into everyone’s job. These are: sense of meaningfulness, sense of choice, sense of competence, and sense of progress. However, if you want to recognize staff, you could give intrinsic forms of recognition. For example, having demonstrated self-initiative or competency, a staff member could be given greater empowerment or flexibility within their work. As a final word, for employee recognition to be effective there needs to be clear criteria for receiving recognition, and all staff should be eligible and rewarded if they meet the criteria, so that no one levels accusations of favoritism, which would undermine the program. Recognition should be delivered in a STAR format where appropriate, and for maximum effect make sure that the act of recognition and the action being recognized occur as close together as possible.